The most trusted name in the country providing state-of-the-art, complete and integrated services and solutions for events management. Headquartered in the national capital, SA Group is India’s leading provider of integrated, sophisticated and holistic social, entertainment and event services for more than two decades. The group is synonymous with trust and state-of-the-art services, reaching thousands of customers across an impressive list of clients that comprises some of India’s biggest names. The group has been a market leader in offering complete event management services – conceptualisation, planning, consulting, customising, liaising, designing, executing and post-event logistics. SA Group has a strong, loyal and expanding affiliate network, operating in all metropolitans and tier II cities in India, as well as select international locations. The company operates through four key business entities, Sur Aradhana Events, Hands on Hands, Yap Holidays and Sur Aradhana Society. 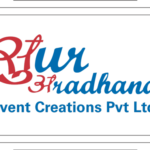 SUR ARADHANA EVENT CREATIONS PVT. LTD.
SA Society is the pioneering business of the SA Group that started way back in 1991 with the sole purpose of promoting art and culture among the youth, and bringing them to the forefront of the entertainment industry in India. For decades, it has provided a unique platform and has been a launching pad for India’s favourite singers such as careers Sonu Nigam, Sunidhi Chauhan and Akriti Kakkar. Hiring us for your next MICE (meetings, incentives, conferences and exhibitions) conference can save you money and time, and relieve you of unnecessary stress. MICE tourism is an excellent platform to network and explore new business opportunities. It helps businesses reconnect with old & existing clients, and meet new prospects, along with gaining knowledge on new industry trends, technologies and other information exchange. HANDS ON HAND VENTURES PVT. LTD. Since 1998, SA Group has benefitted thousands of clients by creating lifetime experiences and memories, and by establishing sustainable and meaningful relationships with each one of them. Be it any metropolitan city in India, a tier II and tier III town, or an international location, the team has always fulfilled its clients’ demands by collaborating with the right affiliates and vendors. With this magnificent past, the company has evolved, expanded and gained enormous popularity, and is now set for the next wave of evolution. To be the go-to provider for all services related to events & entertainment. Our aim has and always will be to provide unparalleled world class services to create memorable moments through customisation, innovation and focussed one-on-one relationship. To be recognised as the ‘best-of-breed’ premium, integrated events & entertainment services company in India – with the legacy of a glorious past, trust and a loyal customer base. SA Group is the most trusted name in the country providing state-of-the-art, complete and integrated services and solutions for events management. Headquartered in the national capital and is India’s leading provider of integrated, sophisticated and holistic social, entertainment and event services for more than two decades.